Click HERE to purchase Dr. Carson’s book ‘A More Perfect Union: What We The People Can Do To Reclaim Our Constitutional Liberties’. Click HERE to purchase Mr. Stone’s book ‘The Clintons’ War On Women‘. Click HERE to purchase Mr. Shapiro’s new book ‘The People Vs. Barack Obama: The Criminal Case Against The Obama Administration‘. Dinesh D’Souza’s book, “America: Imagine a World Without Her,” vaulted to #1 on Amazon.com’s bestseller list, shortly after retail behemoth Costco yanked the pro-American book that is a companion to the movie of the same name currently in theaters. The popular discount retailer induced a self-inflicted public relations nightmare it will not soon forget, as the company was getting obliterated on social media platforms like Facebook and Twitter, with customers feeling the move was politically motivated. Customers called the move “censorship” and “communist” and many promised to boycott the company and vote with their shopping dollars at competitor Sam’s Club. Costco co-founder and director Jim Sinegal is a major contributor to leftist candidates and the Democrat Party. 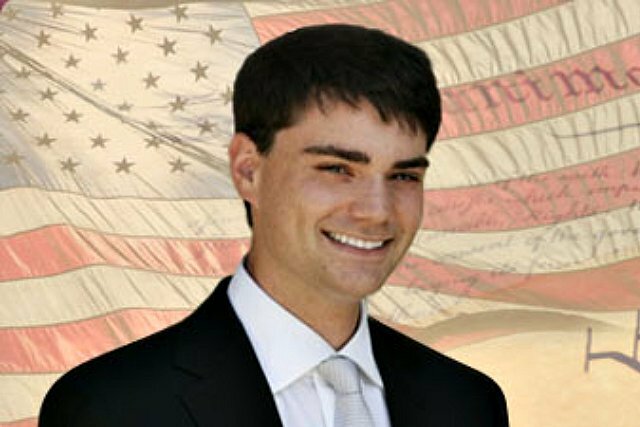 So much so that Sinegal was rewarded with a speaking slot at the 2012 Democrat convention, the one in which the party infamously “booed” God three times. Both the book and movie version of “America” destroy the Democrat Party and anti-American progressive meme that the United States is a force for evil in the world. The backlash may have already made an impact. On The Kelly File on FOX News Tuesday night, Megyn Kelly said that the company has agreed to re-order the books that were mysteriously yanked from shelves the same week the movie version was released. Kelly said that the company refused to admit their banning of the book was politically motivated. A Costco spokesperson told Kelly that the company pulled the books because of “shoddy” sales. However, if that was the case, why would they be restocking the shelves? “Yesterday I was stunned to learn that Costco had pulled my latest book, America: Imagine A World Without Her, from all of its stores. This was despite the fact that the book had sold very well at the chain and that my movie of the same name was releasing on over 1,000 screens the very next day. Today, I am disappointed to learn that this news has been confirmed by Costco . This action confirms the suspicions of all freedom-loving Americans and is a direct attack on my livelihood which I take very seriously. In a free society, Costco is free to ban my book, but their customers are also free to shop at other stores which don’t censor books. In the book and the movie, I talk about the shaming of Americans and a culture of intimidation and censorship that has been spearheaded by the President himself. It’s one thing for Costco executives to pal around with President Obama and donate almost exclusively to Democrats. But to turn their company into a tool for suppressing dissent against the government is another matter. It looks like Rush Limbaugh can add the title of award winning children’s book author to his vast resume. He has become “Author of the Year” as the result of winning the 2014 Children’s and Teen Choice Book contest. To be sure Limbaugh likely won because the award is given out as the result of voting by actual child and teen readers and not some panel of academics and/or journalists. The fact that he has a popular radio show and might have mentioned the fact that he was a contestant once or twice likely entered into it as well. 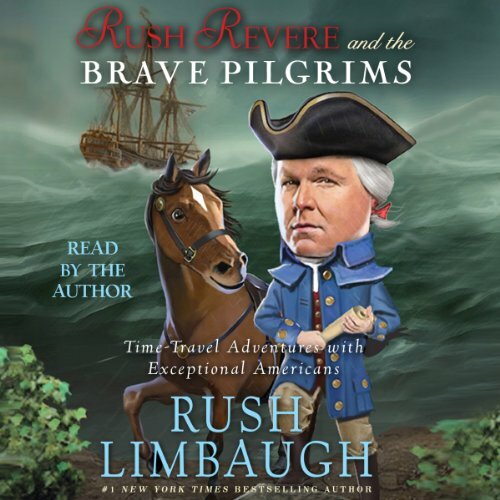 Limbaugh won the award as the result of his book “Rush Revere and the Brave Pilgrims” which is an account of how a time traveling middle school teacher, who bears an uncanny resemblance to the radio talker, and a talking horse visit the original Plymouth colony in the 1600s. The New York Times best-selling book was followed up by “Rush Revere and the First Patriots” which had his doppelganger visiting the outbreak of the American Revolution. When the news had been released that Limbaugh was up for the award, the left let loose a hue and cry and tried to have him removed from the list. Fortunately this campaign was to no avail, as it was pointed out that the award was not subject to outside pressure but rather to the desires of young readers. Besides writing entertaining stories and adding to his vast fortune as a result, Limbaugh’s motive for the books is to expose American children to a more positive view of American history. Sad to say that in too many schools, the United States is not depicted as a great country any longer as education has been replaced by political indoctrination. Limbaugh is trying to rectify that, which must be as bitter gall and wormwood to the left as well. So not only will the new numbers be close to useless when it comes to using them to figure out if Obamacare has had its intended effect, it turns out the old numbers – which the White House used to cram the law down America’s throat – were bogus as well. Heads they win, tails you lose. But remember: all of this is totally coincidental and really unfortunate.